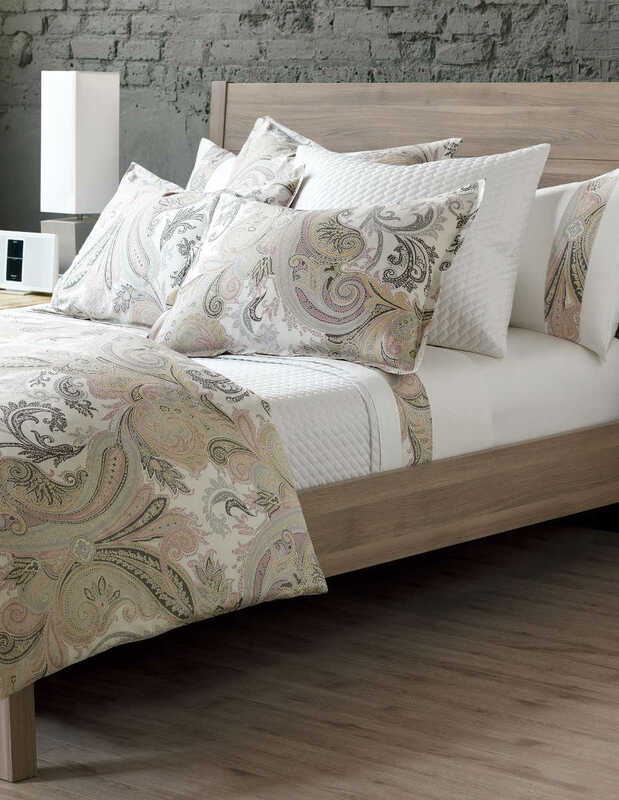 RB Casa Cayman Sateen Bedding - Swatches may be available. Printed Sateen 300TC with satin stitch. 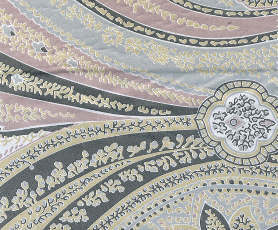 Allover printed sateen. Button closure. Solid white sateen with printed border applied. Solid white sateen with elastic all around, 17" gusset. Sold as a pair. White sateen finished with 1 printed border applied front/back. 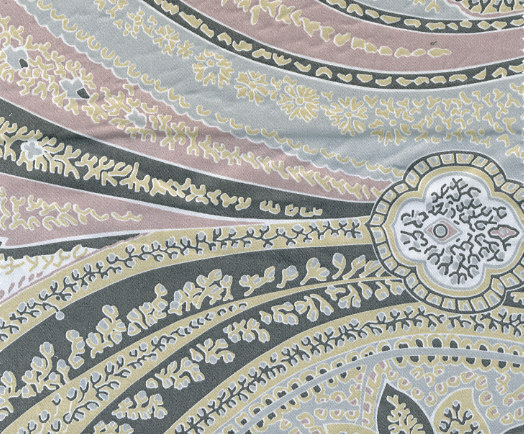 Allover printed sateen with white satin stitch. Paneled bedskirt has center pleats, split corners with kick pleat, and 16" standard drop.